Let Flood Fire Pro of North Attleboro MA and Greater Providence Rhode Island MA remove the blackened scars of fire, soot, and smoke damage from your home. 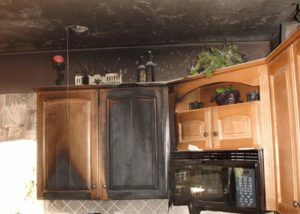 We’re available 24 hours to remove debris, provide structural cleaning, and deodorize your property after a fire damage incident. We’ll also clean and decontaminate your heating and cooling systems, clean your personal contents, and even arrange dry cleaning and laundry service to restore those fire damage affected items. Our technicians do a thorough inspection to determine the extent of the damage. We then draw up an estimate and submit it to your insurance adjuster for review and approval. We bill your insurance company, not you, so we can make it easy to get back on your feet. We have over 30 years of experience in fire damage cleanup, repair, restoration and remediation. Best part is we bill your insurance company, not you, on all qualified insurance jobs. This means you won’t have to worry about dealing with adjusters or insurance providers.